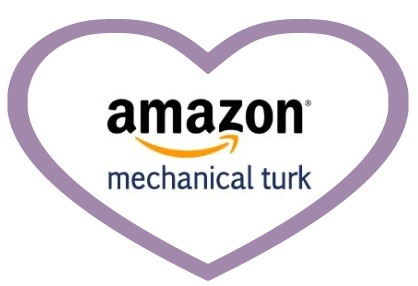 If you’re looking to make a little extra spending money, I recommend looking into Amazon Mechanical Turk (MTurk). MTurk is a site for taking surveys and doing small tasks (like verifying information on a receipt, or copying text from an image) that only a human can do. You get paid for each task that you complete, ranging anywhere from a few cents to a few dollars. When you first sign up for MTurk you have to wait for approval. After your setup is done you can log into the HITS tab and start looking for tasks to work on. At the beginning you’re limited to the kinds of tasks you can do, and for the first 10 days you’re limited to the number of tasks you can complete. In a nutshell, the longer you stick with it, the more tasks you’ll be eligible for and the higher paying they’ll be. Which Tasks Should You Focus On? On one hand, you can find tasks that have many HIT’s available, like transcribing information from a receipt. You can complete a HIT and stay within the same listing and transcribe a second or third receipt. These types of tasks are usually low paying, but help to increase your total approved HIT’s number. I didn’t want to burn myself out by doing only monotonous tasks and find a few pennies in my account at the end of the day, so to keep up my motivation, I looked for surveys, tasks with bonuses, and searched for tasks that had ‘fun’ in the description. I interspersed the quick but low paying HIT’s for higher numbers. « Earmuff Headphones and Touch Gloves for just $11.99 shipped! Thanks for the tips in taking survey. When I am taking survey, I will look at how fast can I finish it and ask myself is it worth completing it or it is just a waste of time. I have to look for the surveys that fits my interest and the survey that I am knowledgeable about. Doing task online will be very easy if you can organize all the things that really matter. Have a priority list and follow it. BTW, thank you for mentioning another online jobs – for extra bucks. I was just checking out the link you posted on your site about working from home and so I clicked on the link for MTurk and when the page came up there was a video available to watch that had a woman in what looked like a thong and it said “why was this video banned” This is offensive and I don’t want to see pictures like that for me or my family. Does this have anything to do with the MTurk work at home jobs? If so I best not even apply!! I also do work for mturk and I started a few months ago. I don’t remember ever seeing anything like that. It’s possible it’s some type of pop up that comes up on your computer? In fact, I don’t think I have ever seen any type of advertisement at all, much less videos. Did you have to provide your bank account statement for verification? I feel this is a bit invasive as I have already provided my SSN. I do freelance work in another industry, so I got an EIN (employee identification number). When filling out tax stuff I use that instead of my SSN to reduce how often I need to give that info out. I’m not sure if you can use it for this job, but good to look into. Do you think this is something a full-time working mom of 2 could do in “spare time?” I could really use some spending cash for a vacation, and I don’t want to dip into our normal budget. I can only sell so much stuff! I’ve been doing mturk for a couple of months. I’ve made $130 and that’s working less than 2 hrs a day. In the beginning, I did very low paying jobs to get my numbers up. Then I started doing research projects w universities, which are basically just answering questions, watching videos and answering questions after, or just brief surveys. Most pay .50 or more. I can generally make close to $10 a day with less than 2 hrs invested and that could easily be split up over the day. If you Google it you can find support groups and articles detailing how to get started. There are extensions you can get for Google Chrome that provide a drop down rating system for each hiring company/person so you can instantly see which jobs to avoid based on fairness, how quickly they pay, etc…it was easy to install and helps you not waste time on bad jobs. It can seem discouraging in the beginning because you are literally being paid pennies. But it is possible to find a niche and then stick w it to make a little easy extra money. Some days are much better than others and you can get bonuses or find a string of easy fair paying HITS. My goal is $10 a day and it is helping out at least a little. It would be great for someone who shops on amazon because your payment method can be directly to your amazon account. I’ve been turking for a while now and I use the Reddit thread called HITS worth turking for. On most posts the title will tell you the requirements you have to have , the time to complete it and how much it pays. It can help you find some good ones. I did MTurk for about a year. Really a waste of time, the pay rate on almost everything is pathetically low, and then there’s the time you waste just looking for the HITS. I did mostly surveys, which theoretically are some of the better paying items. I would recommend that people use the time they would spend on MTurk to search for a “real” wah job, even the lousy telephone jobs pay around $9 an hour, are pretty easy to get into, and that’s at least double what you make on MTurk at the best of times.